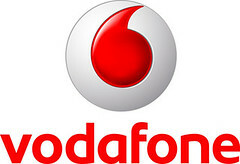 Vodafone is one of the largest mobile communication companies in the Netherlands, and part of the Vodafone Group. It’s the most prominent communication company worldwide, with 252 million customers in five continents. The Vodafone Group has participation in the stocks of phone operators in 25 countries. It also colaborates with networks in 39 countries. The Dutch headquarters is located in Amsterdam. In the Netherlands over 2800 people are employed by Vodafone. It’s the second largest mobile operator in the Netherlands, measured by turnover and profit, with over 4 million customers. LBi is a marketing and technology agency blending insight and creativity to solve business problems. We work with many of the world’s best brands to help them define and execute their digital strategies. Our strength lies in our ability to together diverse teams of digital experts to suit any brief we call it blending, and it’s the special sauce that makes our full service proposition supremely useful to our clients. Across our network of 26 offices in 16 countries, we have 1800 digital experts delivering powerful and measurable ideas across communications, service design, branded content, technology innovation, mobile, CRM,digital media planning and buying, social media, EPR, and hosting. Our unique Dashboard product now underpins most of our big client relationships, putting measurement and ROI at the heart of our engagements. Ciklum focuses on creating clients′ own dedicated nearshore software development teams in Ukraine and a community of knowledge sharing to help clients to market quickly with less risk and minimal investment. Ciklum enriches the software development process because we do not follow the traditional IT outsourcing model of project-based services. We deliver an environment of outsourcing services that is designed for you to establish your own dedicated IT department in Ukraine or to outsource, completely or partially, your software development. This is equivalent to having your in-house IT specialists but for a significantly lower cost and less administrative nuisances. Our model gives you the benefit of keeping the knowledge in-house as well as building a long term-relationship with your team and its full strategic management control. While you focus on development and production, Ciklum takes care of all operational issues such as human resources management, IT infrastructure, and administrative and legal support. “Currently, companies such as insurers, airlines, web shops, retailers and the media notice that their staff and clients own cell phones and can therefore send and receive SMS. CM aims to help these companies in achieving interactive SMS and MMS communications towards their target group, by offering professional advice, products and services to them. Are you interested in working with us to make Mobile Monday a success, please contact Yuri van Geest, yuri @ mobilemonday .nl. We are open for sponsorship, or other types of partnerships.